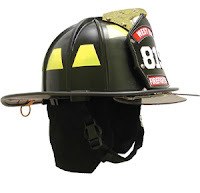 Recently I got to chat with the Product Manager for Morning Pride Helmets at Honeywell First Responder Products about their new Ben 2 and Lite Force Low Rider helmets. I had the opportunity to get the lowdown on the Low Riders, including what makes them such a great choice for a helmet, and what deems it the "Low Rider" after all. The basic gist was that the development of the new 6 way adjustment tabs in the suspension headband system make the helmet customizable and comfortable. The new adjustment tabs allowed them to play around with different strap lengths during the engineering phase. Each strap was made longer, which essentially makes the helmets ride lower on your head, and allowing the headband to have full range of the 1.5" of adjustment. The Low Rider uses the same durable and safe composite shell that the Ben-2 Plus and Lite Force has had for years, it just has some revamped & different innards as mentioned. Having created the longer straps you get a better feeling and better looking helmet that lowers the center of gravity, taking the strain off of your neck and shoulders. Overall, the new Ben 2-Plus Low Rider is a fabulous, user-friendly, comfortable, and safe helmet for you. So be sure to check out our great stock and pricing on these helmets today. *A special tip from the Product Manager: If you aren't one of the 80+% of users who like the fit right out-of-the-box, you can just pop the suspension out using a dime or car key, then place it on your head. Using the six-way tabs, just adjust the headband to rest low, about an inch to inch and a half above your brow bone in the front, and just above your ears in the rear so you can get a good grip around the back of your head. Then, you should try it on with your SCBA mask and hood to make sure it fits just right before popping it back into the helmet. Will the lo-rider suspension be available for those who already have a Ben2 or is it even interchangeable? You can order the low rider suspension for your Ben 2. I recently did that with mine. Love the low ride suspension. Cost is about 30$ to do it.